The Toronto Maple Leafs have had an up and down season so far, to say the least. While some blame the goaltending for the Leafs woes, the defense in front of Frederik Andersen hasn’t exactly been helpful. They need to improve for the Leafs to be able to actually win. The Leafs have been producing enough offense to give themselves a chance to win in most of the games so far. 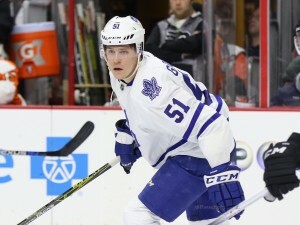 Today we look at the eight defensemen currently on the Leafs roster. Tomorrow, we will look at the defensemen playing for the Toronto Marlies. If some of the players on this list don’t shape up soon, maybe the players on tomorrow’s list might get a chance. While he hasn’t looked like the defenseman he was during the Marlies’ playoff run last season, he’s still been pretty reliable. He has one goal through eight games and is a +2. With only 61 games total in the NHL, the Leafs hope he’ll continue to progress and become a cornerstone on the Leafs’ defense. He’s already a steal considering what the Leafs got for him. This one’s simple. Despite playing in 39 games last season, Corrado has once again found himself in the pressbox to begin the season. Last season it took the Dion Phaneuf trade to get him in the lineup regularly. What will it take for him to play this season? The Leafs need Gardiner to take another step forward this season, both in the offensive and defensive zone. It would be great if he could find a way to eclipse his 31-point career high, posted in both the 2013-14 and 2015-16 seasons. What would be even better is if he improved his defense. He improved his plus/minus last season to a -15 from a-23 the season prior. Another jump would be great for the Leafs and their entire defense. The biggest thing is to limit the big mistakes that lead to goals that he has unfortunately been a calling card of his in his young career. Oh boy, where do we start? Hunwick hasn’t exactly been the best defenseman on the Leafs this year. Currently out with a lower-body injury, it’s going to be hard to forget that game against the Lightning in which he was on the ice for five of the seven goals. An assistant captain on the team and apparently one of Mike Babcock’s favorites, he needs to be better if the Leafs are going to better. The least he can do is be good enough so the Leafs can deal him at the deadline. Another defenseman who needs to be better, Marincin has been the cause of more than a few goals the Leafs have given up. Limited to five games, he has even been a healthy scratch once. He has gone from the top pairing to out of the line-up, and he’s been bouncing around pairings ever since. The Leafs’ biggest D-man at 6’4″, he needs to use his size better as he has lost some one-on-one battles against guys much smaller than him. That shouldn’t happen. Returning in the off-season after being traded at the deadline last season, it was a puzzling decision for sure. Starting the season as a healthy scratch, he got into the lineup when the Leafs sat down Marincin for a game. He’s had a few missteps, but he hasn’t been horrible. He has had the same problem of losing battles to smaller players. Entering his first full season as the Leafs No. 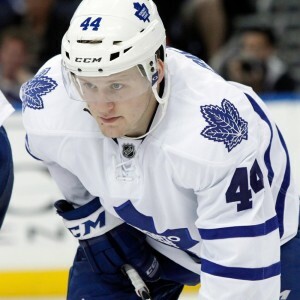 1 defenseman, Rielly hasn’t exactly had the best start to his season. He has four assists but there have been some bad defensive gaffes as well. While he needs to better defensively, he is counted on to be the Leafs best point-producer on the back-end. He needs a stay-at-home defenseman beside him that he can count on. That way, Rielly can do what he does best and not be stressed out too much. The newest addition to the Leafs’ defense, Zaitsev has played more than 20 minutes of ice-time in all but one game. He has five assists in eight games and has recently been playing alongside Morgan Rielly. He is a minus-two but we can excuse him for now since this is his first season in the NHL. The fact that he is handling a lot of the workload this early is a positive sign.